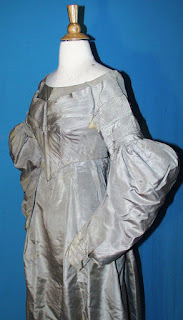 A most becoming and charming rare American 1830 - 1840 grey silk hand stitched one piece gown with matching cape FOR STUDY. Recently de-accessioned from the Rochester Historical society in New York State, and still retaining its original identification museum tags. The dress has a back hook and loop closure with long gigot sleeves and the waistline has cartilage pleating in back only and the front is decorated with pleating. 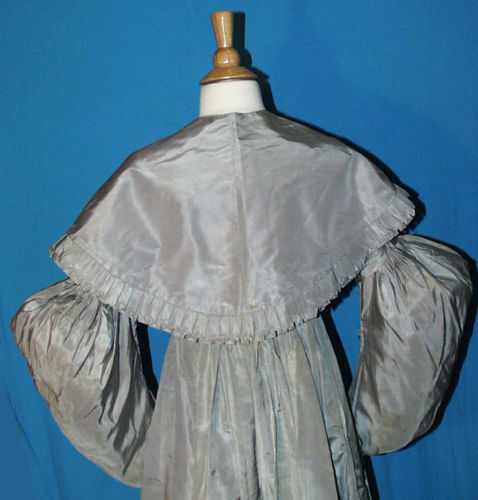 The bodice is lined with polished cotton and the skirt is unlined. Piping around drop armscyes, travelling across back to waist line. 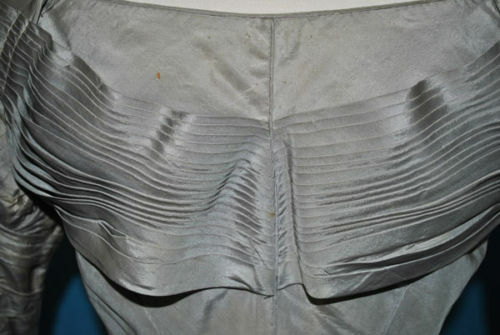 Piping around waist line. Bodice has 5 whale bone baleen stays. The gown is in very good and sturdy condition. 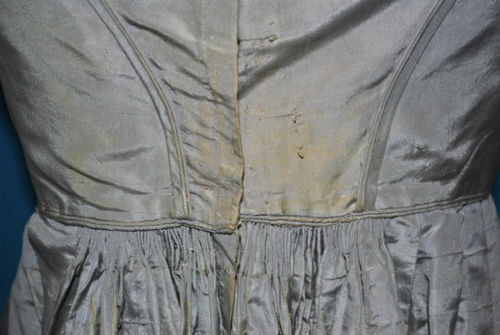 There is underarm discoloration, and scattered staining, on bodice as well as skirt. 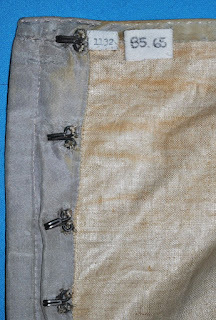 Two back closure hooks missing. There has been a seam opened up around waist line, probably a pleat, and easy fix. There are two tucks to bring in the opening of the neckline, can easily be released. 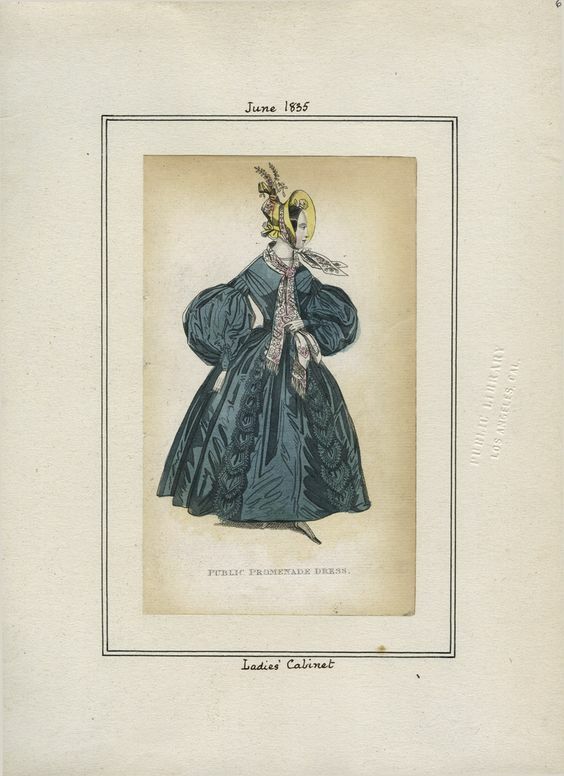 None of the flaws are major and do not distract from the overall appearance of the gown. A rare and highly collectible early garment. 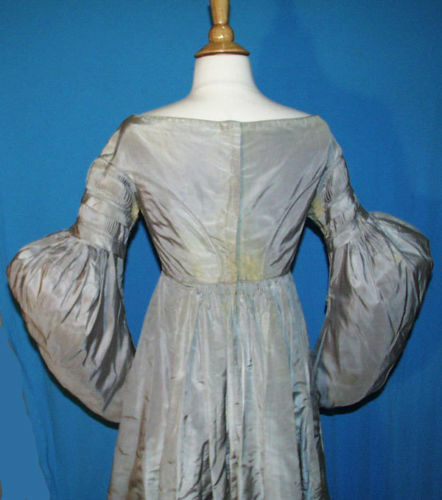 Length of dress from shoulder seam to hemline in back 56". 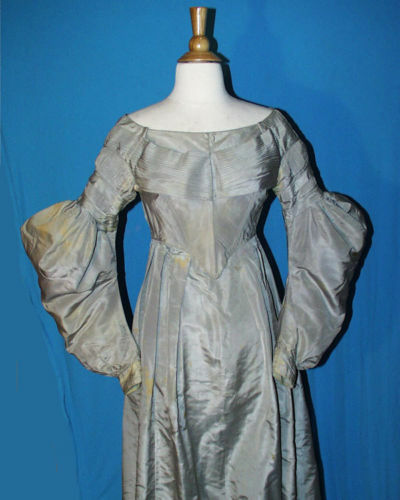 A very attractive early 19th century gown. 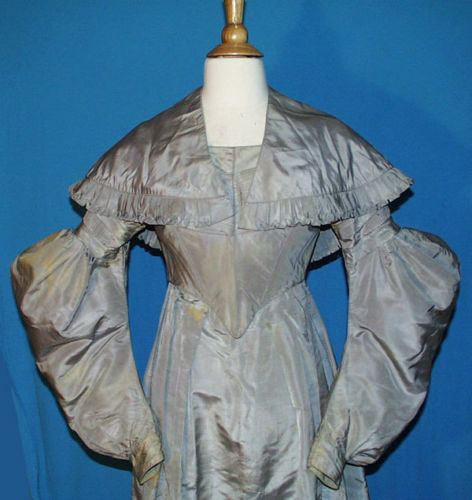 Antique clothing is for display and should not be worn. Good example of the later 1830's where the fullness of the sleeves moves down and with a fitted cap.